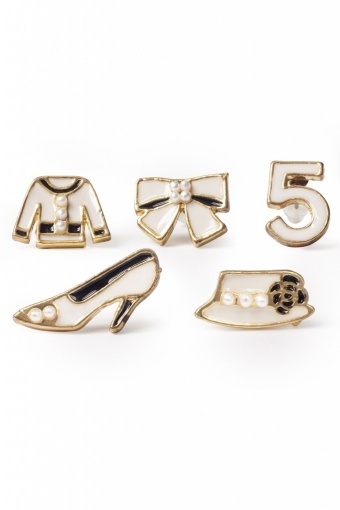 Beautiful earstuds set Fashion accessories White From Paris with Love! 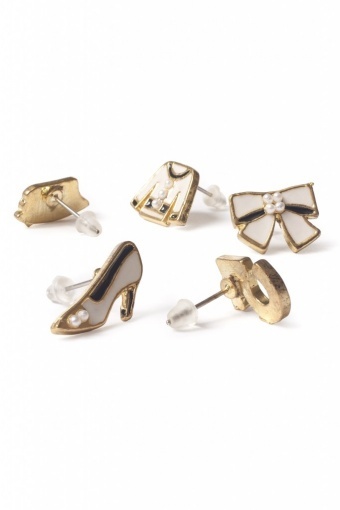 5 earstuds with bow, head, pump, vest and nr. 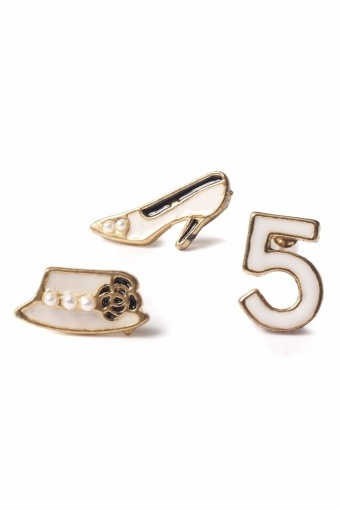 5 in goldtone metal with plastic backstoppers (nickelfree) and silvercoloured pin. 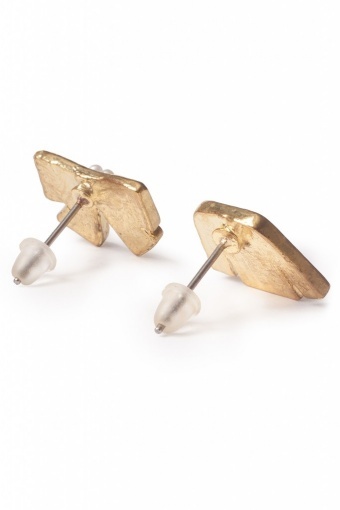 With faux pearl deatils, earstuds in white-black. Perfect for every occassion!